Negotiations occupy a prominent place in the world of business, especially when it comes to international deals. In an increasingly global business environment, understanding and managing cultural differences is key to successful negotiations. 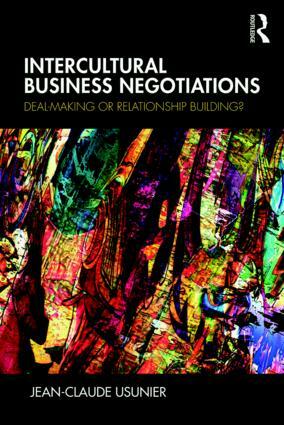 This book highlights two basic components of negotiations: the Deal and the Relationship. Countries and cultures place different value and priority on these components both in the negotiation process and in the outcome. Intercultural Business Negotiations provides a guiding framework that is both refined and contextualized and provides managers with the key skills necessary to navigate difficult negotiations where partners may differ in terms of culture, communication style, time orientation, as well as personal and professional backgrounds. The book systematically examines both dispositional and situational aspects of negotiations in interaction with cultural factors. Intercultural Business Negotiations is an accessible resource for managers, leaders, and those interested in or studying business negotiations globally. It is accompanied by an author run companion website containing negotiation simulations, instructions for players, and teaching notes for instructors.